The wildfires in Texas this summer really scared me and made me realize something even scarier. As the ashes were falling around me outside and the smell of smoke was thick in the air, I began to formulate a plan in my head on what I absolutely must take should me and my family have to evacuate IMMEDIATELY! Then, it occurred to me...all of our most important papers, licenses, deeds and other valuable information were all scattered in various desk drawers and closets throughout our home. It would take me hours to gather all of these vital documents together and in a dire emergency, that is simply time I won't have. Thankfully, the security cases from Vaultz have inspired me to organize my family's important information so that I am never caught in a possible predicament like that again. 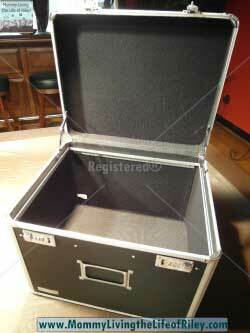 I had the chance to review their Locking Letter/Legal Chest. Keep reading to learn more! I reviewed the Locking Letter/Legal Chest from Vaultz, which retails for $59.99, but is currently on sale for $48.54 with FREE SHIPPING. Free Shipping and Handling on all orders over $50 (excluding AK and HI). Rubber feet prevent skidding and surface scuffing. 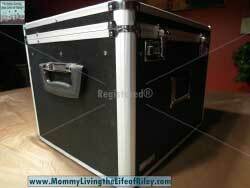 Handles on the sides make carrying easy, and the large flat top is great for stacking. Excellent for general storage as well. 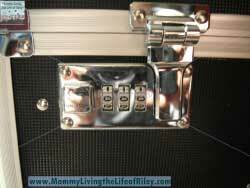 The Vaultz Locking Letter/Legal Chest is one attractive safeguard that will keep my family prepared for action in case of a sudden emergency where evacuation is required. 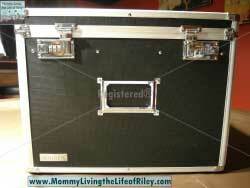 It's also given me a safe and secure area to house my most important papers, photos, home movies, etc. while keeping everything organized inside. I loved how I could set my own combination on the dual locks so that unauthorized persons can't access what's stored there. If you'd like a way to keep your valuable papers and possessions both organized and secure in your home for an affordable price, then I highly recommend the Vaultz Locking Letter/Legal Chest! Disclosure: I received the Locking Letter/Legal Chest from Vaultz in order to facilitate my review. No other compensation was received. This product review is based on my own personal experiences with this item and is completely honest and objective.